View Basket “100 Different Australian Commemoratives” has been added to your basket. Premier New Zealand illustrated Stamp Album Special Offer. 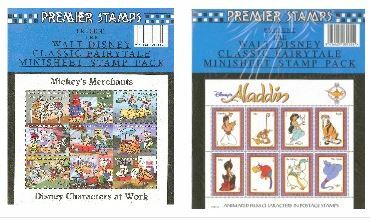 This Premier Album is a great way to collect your stamps. It has a picture of the stamp so you can place the real one overtop using either a hinge or a stamp mount. Each issue has a title and some information about it. Such as date issued, description, designer and printer. The first offer is a binder complete with the years 1990 - 1999. The second offer is a binder complete with the years 2000 - 2005. 200 Different New Zealand stamps. A great collection of stamps with a huge catalogue value. Premier Soft Cover Stamp Album Special Offer. This Premier Album is a great way to start your stamp collection. It has graphed pages to help you arrange your own page and a space at the top to write in a title. This offer comes with an album, a pack of 500 different World stamps and a pack of 500 stamp hinges. New Zealand Stamps On Paper. 25 Small Packs of Stamps. A random selection from around the World. A random selection of stamps from New Zealand and the World, plus stamp collecting items usually sold for over $50.00 in total. This offer will not include anything on this page. Your money back if you’re unhappy for any reason. (As with all our products). This offer is a random selection of New Zealand First Day Covers with a catalogue value of a least $45.00.